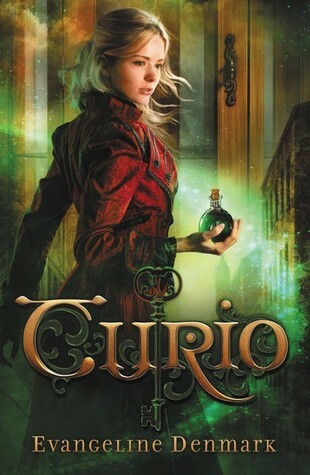 Congratulations to author Evangeline Denmark upon the publication of her YA steampunk fantasy novel, Curio. First off, look at that cover. Isn't it absolutely gorgeous? We think so! Reader Girls are excited to spotlight this author and her novel (which we are reading). 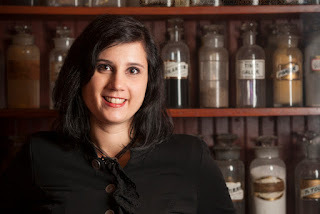 For today the author is sharing a Guest Post on when she conceived the idea for her novel (a topic we're always interested in learning about). There's also links to get the FREE prequel novella to Curio and a giveaway, so please enter and tell your friends. Thanks for spending time with us. Evangeline lives in Colorado with her husband, an engineer with a sense of humor and an artistic streak, two ravenous sons who steal her laptop and demand dinner, a cat, two turtles, and a cattle dog who runs the house. I remember the exact moment of origin for my novel CURIO. I was driving home and the word curio popped into my head. I fell in love with the word instantly. I really hope this happens to other people; otherwise, I might need to look into therapy for my logophilia. A curio is an object of value or interest, such as a figurine or antique knickknack. 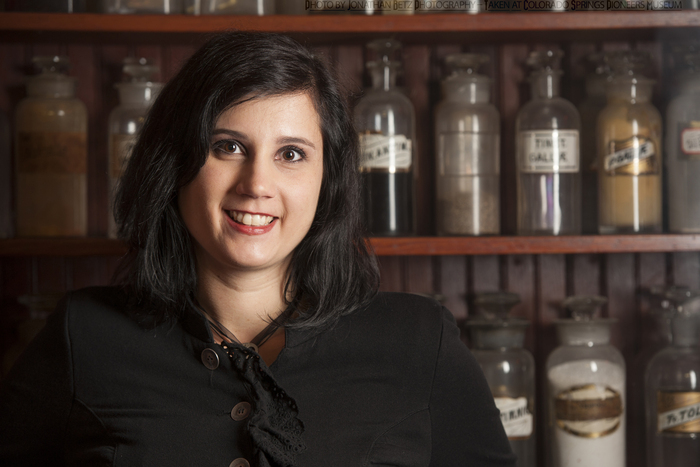 Obviously the word curio and curiosity are cousins, so it didn’t take me long to include curiosity in my word crush musings. I imagined a world where curios came to life—where porcelain figures walked, talked, and developed a society. Then I asked myself, “What would those curios find curious?” The obvious answer to me was a human. And that’s how I came up with the concept of a human girl trapped in an enchanted cabinet. Everything followed from that one moment of inspiration, but I had a lot of work to do. Although I’d written books with elements of magic in them, I’d never developed a fantasy world and for CURIO I needed not one but two. The world inside the bespelled cabinet was in some ways easier to craft because I had the fundamental concept in place. I asked questions like “What would living porcelain creatures value above everything else?” and decided the answer was beauty. Then I wondered how they would treat beings they did NOT find beautiful. The conflict between the exquisite Porcie people and the clever Tocks—clockwork citizens of Curio—followed naturally. But for the cabinet world to exist there had to be another world that caused it to come into being. The outside world, where my human heroine Grey Haward comes from, took some serious thought and countless hours of jotting down notes and questions for myself and digging into my imagination to find the answers. Grey’s world of Chemist rule and daily struggle for survival in a western turn-of-the-century mining town is meant to offset the glittering, extravagant lifestyle of the Porcies. Imagine how strange it would feel to go from a bleak town where citizens are dependent on a daily potion to a land where beauty is the most celebrated quality. Reviewers have said that CURIO has a bit of a Wizard of Oz feel to it, and I love that comparison because I grew up on the Oz books. But don’t be fooled when Grey lands in the luxurious estate of Curio’s ruler, Lord Blueboy, for danger lurks behind a Porcie’s smile just as it does a Chemist’s green-tinted skin. But Grey Haward is a heroine for both worlds with strength to resist the Chemist Council, wits to navigate the cruel Porcie upper class, and a power she’s just beginning to understand. 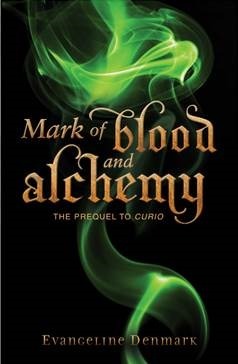 With the help of the mysterious Mad Tock, Grey unlocks a secret that will change both worlds forever.